Etchings and Lithographs: c. 1880-1940's. Pencil-signed. 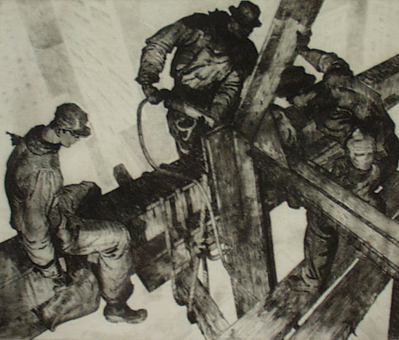 am interested in any works by the artists listed under “Sought Artists” as well as strong images (city scenes, rural and industrial images, modernists prints, western scenes and any stamped "WPA"prints) by other artists. I am also interested in color etchings from the period 1890-1935 that have a good Arts & Crafts feel. I am particularly interested in color etchings with aquatint by John Wesley Cotton (Can./Amer. 1869-1931) and George Senseney (Amer. 1874-1943).